Kershenbaum & Raffaele » Legal Team » Michele McDonnell Reichow, Esq. 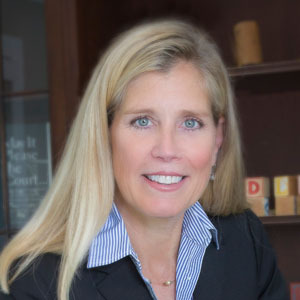 Michele brings her wisdom to all aspects of the firm’s practice, counseling clients on their educational options from early intervention to high school and transitioning into adulthood. She has reviewed and helped develop numerous IEPs, and behavioral plans. She has experience in addressing a wide range of needs and disabilities, including autism, gifted support, emotional and mental health issues, Dyslexia and other learning disabilities, Physical impairments and disabilities and ADHD/ADD. As a special education advocate, Michele helps parents understand what their child’s needs are and then advocates for the appropriate programming for them with the school district and other service providers in both the public and private sectors. Michele Reichow worked at the Public Interest Law Center, successfully representing dozens of children in the Philadelphia School District before the Office of Dispute Resolution (ODR), helping them to obtain meaningful special education programs. At the Law Offices of Benjamin Hinerfeld, she advocates for families of children with various disabilities to ensure that they receive proper services both in school and at home. As the mom of two lively kids (including one with an IEP), Michele knows first-hand what parents encounter when raising a child with special needs and seeking effective educational programming. Prior to becoming a special education attorney, Michele worked for the United States Department of Homeland Security, and the Immigration and Naturalization Service. She was responsible for representing the agency in complaints of discrimination and harassment before the Equal Employment Opportunity Commission and in employment discrimination lawsuits. She also advised senior management regarding employment policies and conducted investigations of employees and terminations. Villanova University School of Law. J.D.